Celebrate our feathered friends as you make a day in their life filled with a few gifts. Line baking sheet / tray with wax paper. Microwave morsels in 30 second intervals, stirring each time. cook until smooth. Can also use double boiler method with morsels in a bowl over hot water in a pan. Add chow mein noodles. Drop onto baking sheet and use spoon to push down the middle to make a nest shape. Can add jellybeans, M&Ms or other round candy for eggs or use gummy worms for birdfood. Gather pinecones from a park or your yard (may also purchase at a craft store). Spread peanut butter on a plate. Pour birdseed on a separate plate. Tie string/yarn/wire around pinecone. Roll pinecone in peanut butter. 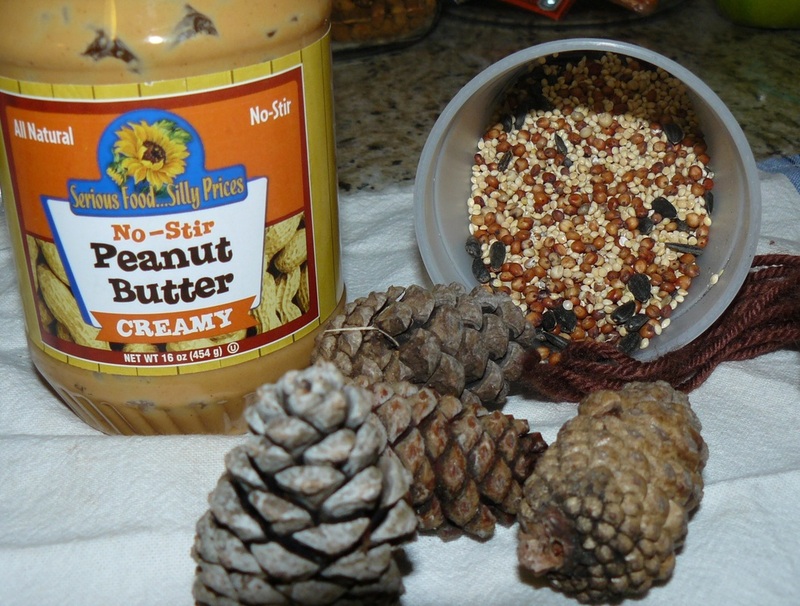 Roll sticky pinecone in the birdseed until all peanut butter is covered. Hang from a tree branch. 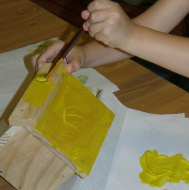 Birdhouse kits can be purchased at your local craft store or hardware store. You can also purchase an assembled unfinished house at the same locations. If you’re truly ambitious, you can use scrap wood to cut out your own pieces. 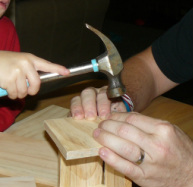 Assemble birdhouse according to directions. 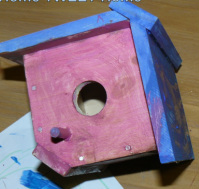 Paint birdhouse. Hang outside. Make sure to face the opening away from the north so you will have a greater chance of a bird using your house.